Located in south western Siberia, Kemerovo Oblast – also known as Kuzbass after the Kuznetsk Basin – is one of Russia’s most important industrial regions. Infamous for its long and cold winters, where temperatures can plummet to -35 °C, the province is home to some of the world’s largest deposits of coal. 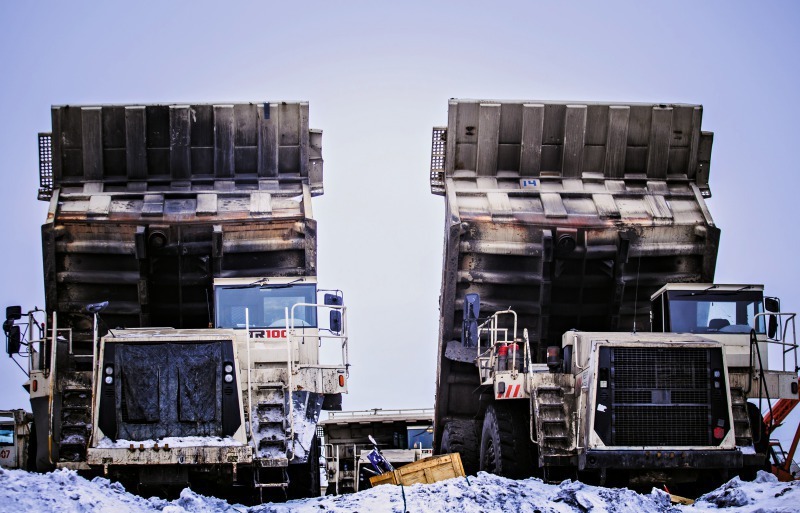 Helping to keep the energy flowing through Russia, a fleet of 10 Terex Trucks’ TR100 rigid haulers are being put to work in the very heart of the country’s mining industry. 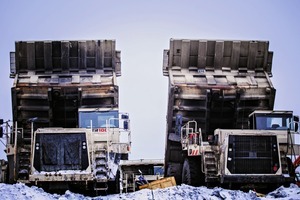 Selected for use by mining contractor Sovrenmennye Gornye Technologii (SGT), the proven dump trucks are working around the clock in an opencast environment. The robust machines, which each have the capacity to bear a load of 91 t, were delivered to SGT through Terex Trucks’ official distributor in the Russian Federation, Ferronordic Machines, in October 2016. With an ambition to become a major supplier to the Russian mining industry, Ferronordic first started communications with SGT when the company issued a tender to enlarge its fleet with rigid haulers. Submitting a bid on behalf of the Scotland-based manufacturer, Ferronordic put forward a compelling argument for the Terex Trucks TR100’s abilities, as well as a competitive service offering. Covering a vast area of approximately 10 000 square miles, the Kuzbass coalfield was discovered in 1721, but the first mines were established in 1907. Reaching a depth of 5905 feet, the seams of the basin contain anthracite and steam coals. Responsible for more than 30 % of Russia’s coal production, the Kuzbass has an estimated 300 billion tonnes of reserves and is the main fuel and energy base for eastern Russia. 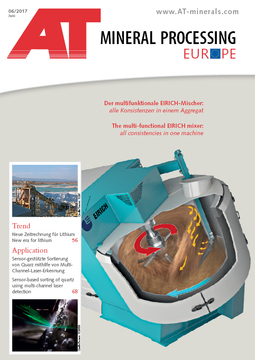 Well suited to the adverse weather conditions of the Kuzbass, the TR100 provides the perfect balance of power, effective gearing and optimum weight distribution to remove overburden efficiently. The rigid dump trucks’ hydraulic disc brakes deliver better operator control, while the transmission retarder decreases brake wear, reducing ownership costs and increasing machine availability. Furthermore, the air suspension bears the load through variable-rate nitrogen-over-oil type struts, which ensure a smoother ride, reduces operator fatigue and helps boost production. The first two of the 10 rigid TR100s were assembled in just three weeks following their October delivery in kit form and quickly got to work on site. Since commissioning the trucks, SGT has recorded an increase in production, and noted that the Terex Trucks machines are easy to operate. 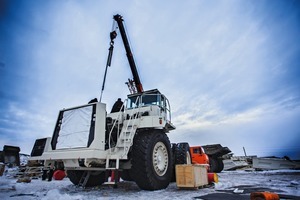 The remaining machines arrived in Siberia in December and a skilled team of engineers from both Terex Trucks and Ferronordic worked against the elements to put the haulers together – and put them to work. 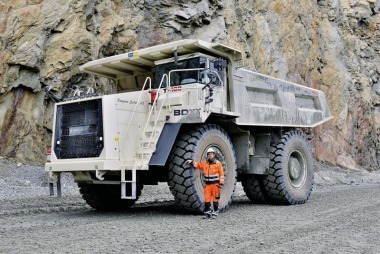 Once all the rigid dump trucks were assembled and commissioned by SGT, Ferronordic, with the support of Terex Trucks’ service engineers, put the training program into operation at the mine. The team’s intensive handover involved sharing knowledge with operators to guarantee that SGT receives the full benefits of the machines. The on-site service provided by Ferronordic also helped to strengthen its relationship with SGT, by reiterating the dealership’s high availability, and commitment to offering excellent service.